As the specs of the new cameras are freely available on the internet (e.g., on the official Nikon D4 and D800/D800E pages), I will not bore you with repeating those here. Instead I will mention some of the things I found particularly interesting or think you'd like to know. First of all (as everyone seems obsessed with this), noise, especially noise at high ISO. How do the new cameras hold up in that department? Based on some of the leaked stuff on the internet as well as my own experience today with the (albeit pre-production) cameras themselves, I think it is safe to say that you can easily use the new D800/D800E up to ISO 3200 or ISO 6400 without any real problematic (colour) noise in your pictures. Considering that you have 36 megapixels (3 times the current high ISO champion, the D3s) to play with and can downsample quite a lot, the usable ISO range extends even further to probably even 12800 or higher, whilst still leaving you with a great looking image. Even at large print sizes. In this sense it is probably on par with the current benchmark, the D3s (but now with many more pixels). For the D4 a similar story holds true and ISO 12800 definitely seems usable without any issue, making it about a stop better than the D3s in that respect (but now with 16 instead of 12 megapixels). Heck, even the ridiculously high ISO HI4 (ISO 204800 equivalent) is usable (for newspaper prints that is). All in all, Nikon hasn't let us down here at all, and they have now set themselves up as the true high ISO/low noise champions. Trumping the old champion, Canon, for a couple of years in a row now. Though I don't yet shoot video myself (none of my current cameras are capable of shooting video), I have really been in anticipation of the video capabilities of these new Nikons. While Nikon was the first to introduce video in a DSLR with the D90, they soon lost the (professional) market to Canon's 5D as none of their cameras supported full HD (the D7000 was the first model capable of full HD, but that is more a camera geared toward the consumer than the professional). The new D4 and D800/D800E are about to change that, I think. Not only do they offer full HD at up to 30fps progressive (60fps is possible at 1280x720), they also offer this stream as uncompressed video at 180Mbps (!) from the HDMI port. To make things even more useful, they have made it possible to have it completely free of the visual clutter (e.g., informational icons, settings, etc.) that is normally included in the HDMI output. 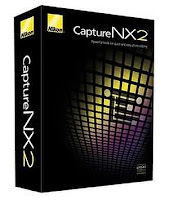 This really is a boon to professional videographers who can now shoot full & uncompressed HD, something that previously was only possible with the much more expensive dedicated professional video cameras. To help post production/editing, it is now also possible to set up to 20 markers in the video stream. Audio has also been professionalised, not only can you hook up a stereo mike and headphones, the new vu meters allow you to fine tine their recording level. Oh, and if you want you can (of course?) 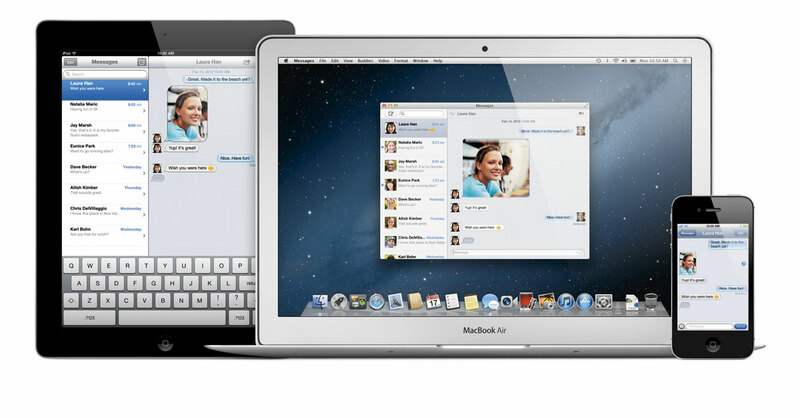 make use of a separate PCM audio recording stream as well. Great features for the (professional) videographer! 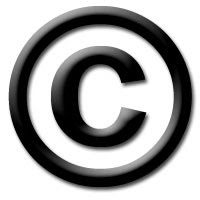 Funny thing: Note that video recording on memory cards is restricted to just below half an hour, this is not a restriction of the hardware (recording from the HDMI stream doesn't suffer from this restriction), but purely driven by import regulations; equipment capable of recording video for more than 30 minutes are import-taxed much more heavily, thus making them much more expensive than equipment that doesn't. I've always liked the handling of my Nikon cameras, but these new cameras have improved this even more. Especially the minor changes to the layout of the D4 as compared to the D3/D3s are very nice. Buttons are even better positioned and, the D4 held vertically now handles (almost) exactly as when held horizontally. Both the D4 and the D800/D800E are slightly (±100 grams) lighter than their “predecessors”, the D3s and D700 (though strictly speaking the D800 is no successor to the D700). Both cameras now have two card slots, but contrary to the D3, they are of different formats. The D800 and D800E have room for an SD (up to UHS-I) and a Compact Flash (UDMA) card. 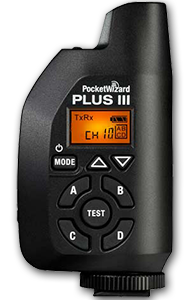 In the D4 on the other hand you have room for one Compact Flash and one XQD card. This latter format is the new card form factor developed by a.o., Sony. Though current XQD cards are roughly the same speed (or only slightly faster) as the very fastest CF cards, the specs allow for much faster and bigger (up to 1 TB) cards in the (near) future. 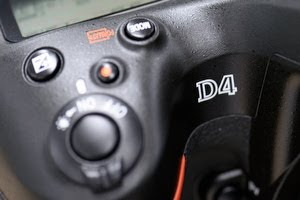 With the D4 the only camera to support XQD cards and Sony as the only company that makes them, Nikon has taken a gamble. However, CF is nearing the spec limits, XQD on the other hand still has lots of room for growth, Nikon's gamble may yet prove to be a visionary one. Fast and big cards are a must for video, but also action and wildlife photographers will benefit from fast cards; the faster the card, the faster and longer you can shoot consecutively. Note that the buffer of the D4 is already big enough to hold up to 98 NEFs and 200 JPGs. Even with a slow card this allows you to shoot about 10 seconds at 10fps before slowing down due to a full buffer. Wow, that is five times better than a D3 (more even when using faster cards)! Though I don't really like the different memory card formats in the new cameras (if you have both a D800 and a D4, you end up supporting 3 different card types), I can understand why they did so. The D800 now nicely bridges the consumer (SD)/professional (CF) gap (and according to Nikon they simply didn't have room in the D800 for another CF slot), and the D4 simply couldn't only support QXD cards as that would force everyone to buy new (and not yet readily available) memory cards. My memory card gripes, however, are nothing compared to the worst thing about both the D4 and the D800 cameras: new batteries. This way you end up with another two new chargers in your bag if you carry both the new cameras and your old gear. Plus, you investment in the “old” batteries (which aren't cheap by the way) is now down the drain; you won't be able to use them in your new bodies, forcing you to buy new and extra spares. These new batteries are also lower in capacity than the old ones. Bad, bad, bad. However, Nikon had no choice: three years ago Japan introduced new regulation regarding (the safety of) Li-ion batteries, basically forcing everyone to lower their battery capacities. 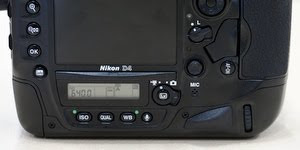 As Nikon was able to reduce the power consumption of their new cameras quite a bit too, though, you can expect (nearly) the same number of shots from the new batteries. So yes, I'm very unhappy about the new batteries and chargers, but there wasn't really much that Nikon could have done here. They've gone and improved an already great autofocus system even more! Canon really has some catching up to do here; only recently did their AF start to come close to match Nikon's. But now with Nikon's new AF system they've fallen behind a lot again. Note that this is not at all saying that Canon's AF is bad (ok, let's not talk about a certain 1D series), just that there is still room for improvement. Hey, and a little bit of competition between the two major brands is a really good thing. Look what it got us so far: super low noise sensors (thank you Canon for besting Nikon here for years), video (thank you Nikon for introducing it, thank you Canon for taking it further and professionalising it), great new (zoom) lenses, lots of great features, etc. This is probably going to be one of the most asked questions regarding the new D800 camera. Which one and why? First let me explain the difference between the two. 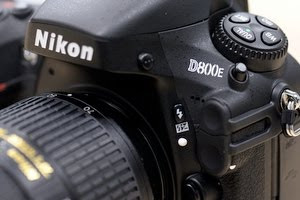 The D800 has an Anti Aliasing (AA) filter in front of the sensor, the D800E does not. Why does this matter? Well, the AA filter takes care (ok, reduces the likelihood) of two problems caused by digitisation: moiré and colour artifacts. The AA filter basically blurs the image a bit before it hits the sensor. This is also why you always have to perform some kind of sharpening on your images to counteract this. A camera without an AA filter inherently takes sharper images with more detail (the blurring removes detail you can't get back with sharpening). But as I said, at the expense of potential moiré and other artifacts. The higher the resolution of the camera, the less likely moiré will be a problem. With 36 megapixels, chances of moiré are very slim. None of the super high resolution digital backs for medium format cameras have an AA filter (and neither does the “only” 18 megapixel Leica M9 by the way). Moiré becomes an issue only with regular patterns. Nature doesn't have those, so if you shoot landscape, the D800E may be your best option as this offers you (even) more detail. If on the other hand you shoot fabrics (fashion), and perhaps architecture, a lot, the D800 may be best. Distance matters, so changing the distance or position of the camera only slightly can already get rid of moiré (the change may introduce moiré somewhere else though). Of course, the problem here is that you must have noticed the problem at time of shooting before you can do something about it so this is not always an option. Most moiré can be dealt with in post processing but as this is not really an option with video, video shooters may want to opt for the D800. Because there's no AA filter to slightly blur the image, the D800E is capable of capturing slightly more detail and contrast than the D800 (only a minute difference though). With the new D4 and D800 cameras, Nikon sure has put forward some great and very capable cameras. Real dream cameras and cameras I really would like to own as soon as possible myself! Does that mean there is nothing I'd like to see differently? Sure, as I already mentioned there's the issue with the new batteries as well as the different card types, but these are explained and I can live with them. There's other things I'd liked to have seen differently too though. For the D4 I would really have loved to have had even higher frames per second. 10fps is only one more than the 9 I now have, and that definitely isn't always fast enough, so likely 10 isn't fast enough either. 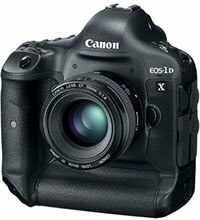 I had hoped for 12 (like the latest Canon 1Dx). The 12 megapixels I now have in my D3 is enough for most circumstances, but it's good to have more as that allows for more (cropping) freedom. 16 megapixels on the D4 is getting there. The 36 megapixels as on the D800 is really great (especially since they have made it perform very well at high ISO), but the D800 is way too slow for me; only 4fps at full resolution (up to 6fps when cropped). Definitely not enough for my wildlife shooting. I like the body of the D4 with its built in vertical grip) more too (yeah, you can add a grip to the D800 too, but then the buttons will not be as conveniently placed as with the D4). So I guess what I was basically hoping for was a hybrid between the D4 and D800. To be honest, however, this is probably technically not feasible at this moment. Ah, well, there's always something to wish for. For now I guess I need to find the funds and get both cameras. Official Nikon D4 and Nikon D800/D800E product pages, and D800 micro site (has lots of sample pictures). The previously mentioned D800/D800E technical guide. Tom Hogan on the Nikon D4 and on the Nikon D800. With the introduction of the new super high resolution D800 and D800E it is perhaps a good idea to reiterate some of the tips on how to get the most out of your camera. Please note that these tips are equally valid for existing cameras so if you're not already doing so, you should take these tips to heart! Hold your camera steady, use a tripod whenever you can. Hand holding – Shoot your camera like a gun. Stand steady, brace yourself against something if possible. Breath normally and shoot on the exhale. 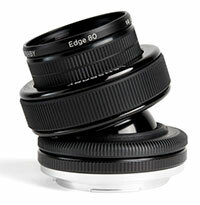 With long lenses, support the lens. Tripod – Don't extend the centre column; this makes a monopod of your tripod, greatly reducing stability. Lock everything down and push down on the top of your camera or the lens (with longer lenses when the lens is mounted on tripod head instead of the camera). People and animals – Get the eyes in focus. 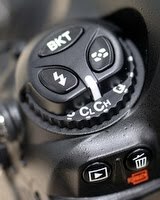 Don't “hammer” the shutter, this will introduce camera movement, potentially ruining your picture. A gentle depress of the shutter gets you there. Improvement – Use the self timer on a short delay to remove any movement introduced by pressing the shutter. Good – Use a remote/cable release. This prevents all movement caused by depressing the shutter. Best – Use Mirror Lock Up mode (alternative on Nikon cameras: Exposure Delay) in combination with using a cable release to also get rid of the movement caused by the mirror moving. This “mirror slap” is especially noticeable on semi-long (e.g., between 1/20” and 1” exposures). The longer the lens the more noticeable it gets. Use as low an ISO as possible. The lower the ISO the lower the noise (in general). Shoot raw. Look at the raw file as your digital negative and a JPG as the print from a cheap laboratory. While the latter may look ok to you, there's probably a lot more potential in the raw file with a bit of careful processing (which, with modern tools can be a highly automated process). Remember that an Ansel Adams was only an Ansel Adams when he developed and printed it himself; much of his signature quality came from the “post processing” he performed in the darkroom. Check the histogram. Change the exposure to improve it. Because digital cameras capture the most information in the brightest parts of the histogram, it is best to “expose to the right.” This means taking an as-bright-as-possible exposure where the (important) highlights aren't blown. This way you have the camera capture the most possible information. Even if the resulting image is too bright, this is still the best approach. 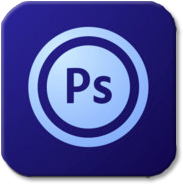 You can always darken the image in post processing; this will not degrade image quality. Nikon USA has made a 20 pages Nikon D800/D800E Technical Guide available for download. The guide includes samples and covers the basic camera functionality. Perhaps the most interesting sections of the guide are on the D800E and how to make the best use of fact that it has no Anti Aliasing Filter. It discusses maximizing its sensor's resolution while also being aware of, and correcting for, instances of moiré and other colour artifacts that may occur. 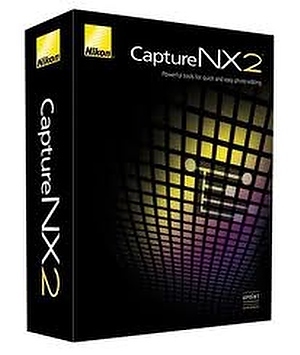 Download the pdf from the Nikon USA site.